Various developmental and issues related to basic amenities and facilities to the citizen discussed in the 69th council meeting on dated 5th Feb. 2018. Basudevpur Municipality Happily host the official website. You may visit www.basudevpurminicipality.in for any type of services & information. 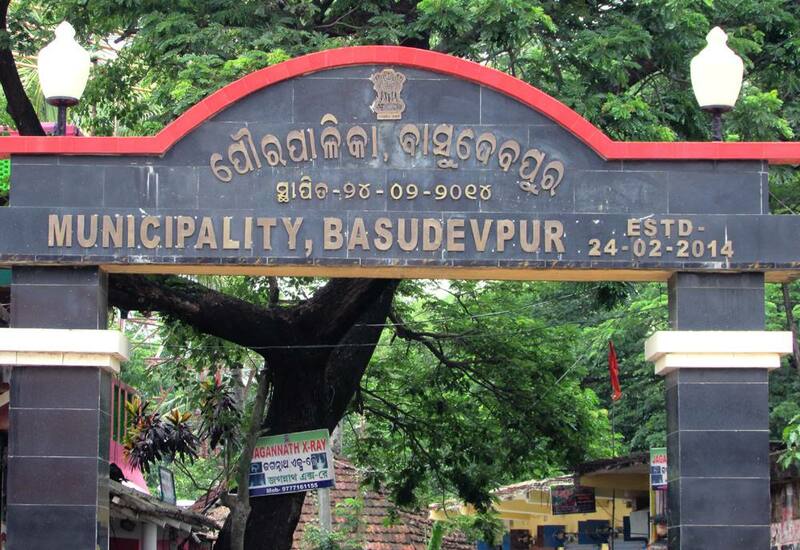 Basudevpur Municipality is in the District of Bhadrak, Odisha born on dt. 24.11.1974 as Notified Area Council, upgraded as Municipality on dt. 14.02.2014 having an area of 47.78 Sq. Kms and Population of 33,689 as per Census-2011, consisting of 23 Nos. of Wards and 6599 House Holds. It is geographically situated is at an elevation of 3 Meters (9 feet). It is located at at 21.14°N 86.74°E. 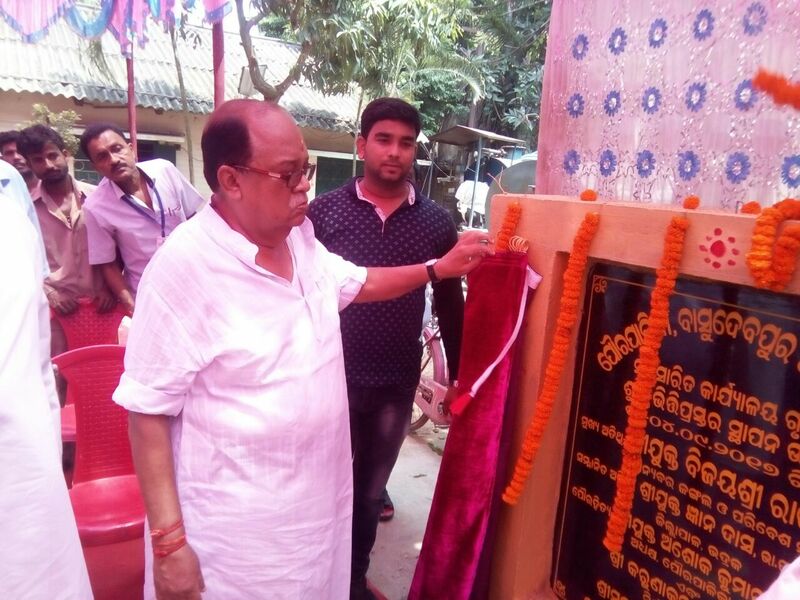 It is a distance of 40 Kms from the District Head Quarters towards Noth-East and 7 Kms from Sahid Tirtha, Eram Circumscribed by Bay of Bengal at east, Gamei River at North, Narasinghpur GP at west and Binayakpur GP at South. 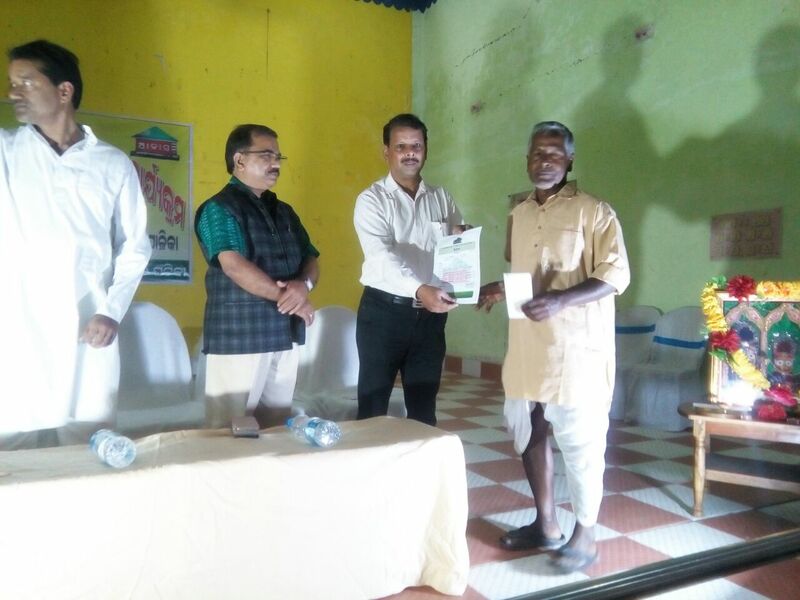 The Mission of this organization is to fulfillment of basic amenities of the citizens deserves and make the scanty hunger free, pollution free, educated, healthy, open-defecation free , wealthy and disciplined with socio economic infrastructures. The vision is to achieve all-round prosperity and beautification the town with integrity and fraternity. The objectives of this organization are multifarious in nature. It aims at overall development of the citizens and the society at large first of all it endeavours to make sanitation , light, water, land and air, pollution free and provides basic amenities to its citizens. It aims at up-liftment of Urban poor's from slums and hovels and establish them on a stead of rich, healthy, educated position to lead disciplined lives by earning food, shelter and clothing. This organization has already made this town scavenger free. It also aims at beautification of the town for comfort and entertainment of the citizens. Intoto, it aims at social, cultural, political, educational and economical betterment of the citizens of the town. 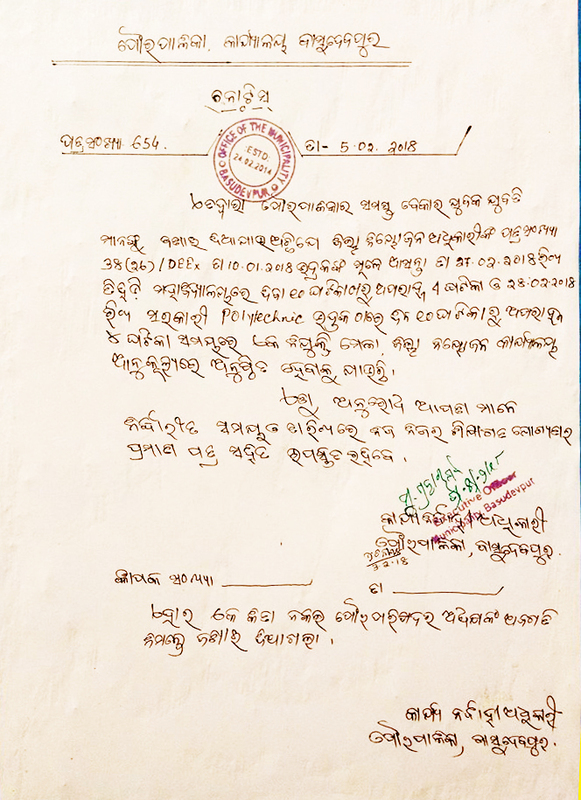 Basudevpur Municipality is located at at 21.14°N 86.74°E. 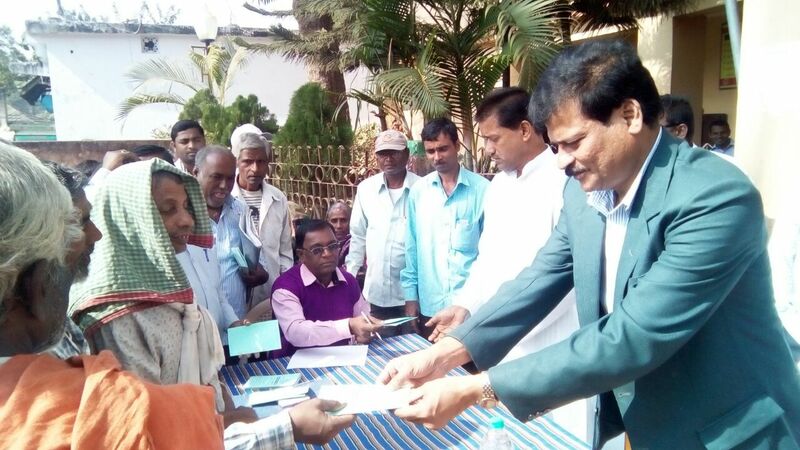 It is a distance of 40 Kms from the District Head Quarters towards Noth-East and 7 Kms from Sahid Tirtha, Eram Circumscribed by Bay of Bengal at east, Gamei River at North, Narasinghpur GP at west and Binayakpur GP at South.